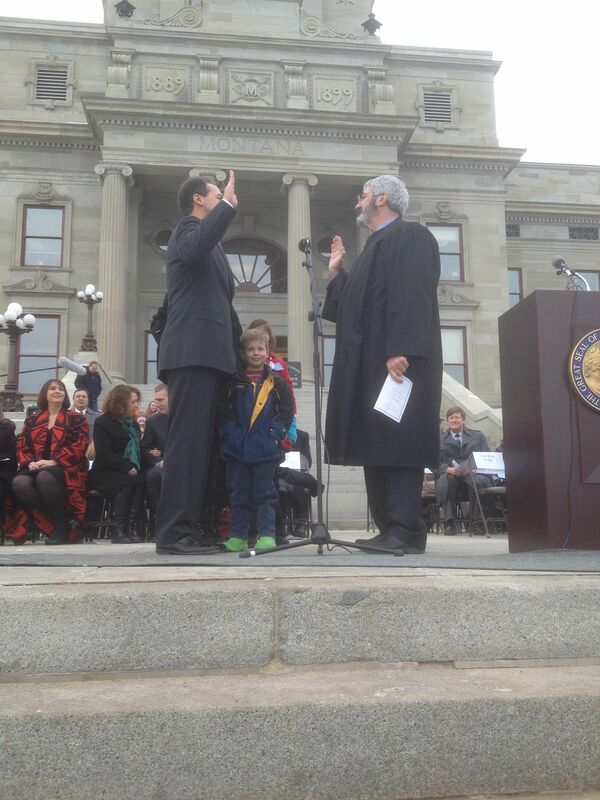 Attorney General Steve Bullock has been selected as the next Governor of Montana. Bullock won the tight race against former Republican Congressman Rick Hill by less than 10 thousand votes. Cheers of “Bullock! Bullock!” filled a small conference room at Helena’s Great Northern Hotel Wednesday afternoon, shortly before an introduction by Lieutenant Governor Elect, John Walsh. “One of the best men that I’ve ever met and have gotten the chance to know real well over the last 8 months, Montana’s next Governor, Steve Bullock,” Walsh said to cheers. “It’s been a long process but being elected as your next governor is an incredible, incredible honor,” Bullock said. The Associated Press called the race in Bullock’s favor around 1:30 Wednesday afternoon as final polling results were slow coming in and the race was tightening. Latest results from the Secretary of State’s office had Bullock up over Hill by less than two percent. Hill released a statement shortly after the AP announcement thanking his supporters. Hill said both Bullock and running mate John Walsh are dedicated public servants and he said he knows the two will do their best to make the right decisions for Montana. Bullock says he spoke with Hill on the phone. “(He) Wished me the best as governor and said he thought I’d do a good job, offered his help and I said I certainly appreciate that. We talked a little bit about both of our families and I told him I thought he ran a great campaign,” Bullock said. Much of the news cycle during the last weeks of the Governor’s race was dominated by a controversial half-million dollar donation Hill received from the State Republican Party. The donation was given during a short window when campaign spending limits were dropped. They were later reinstated and the Bullock campaign attacked the donation as illegal. Hill stood behind it. 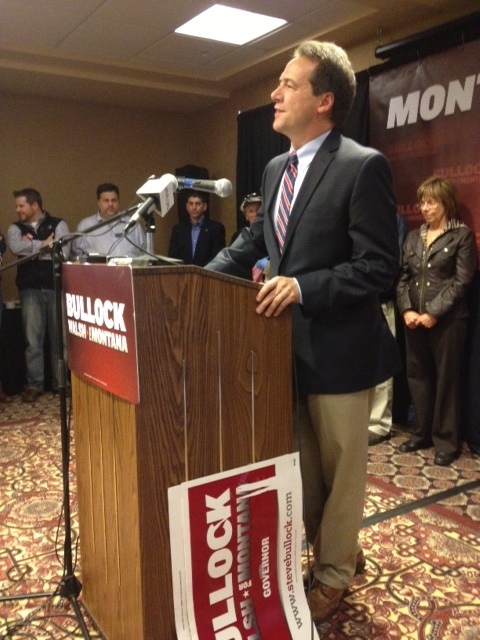 Bullock says he isn’t sure if that issue assisted in his narrow victory. But he says it does send a message about how Montanans feel about big money in politics. “I mean, I think it is certainly a repudiation and it demonstrates that people still matter in elections,” Bullock said. The win for Bullock keeps the Governor’s seat in Democratic hands after 8 years with Brian Schweitzer at the helm. 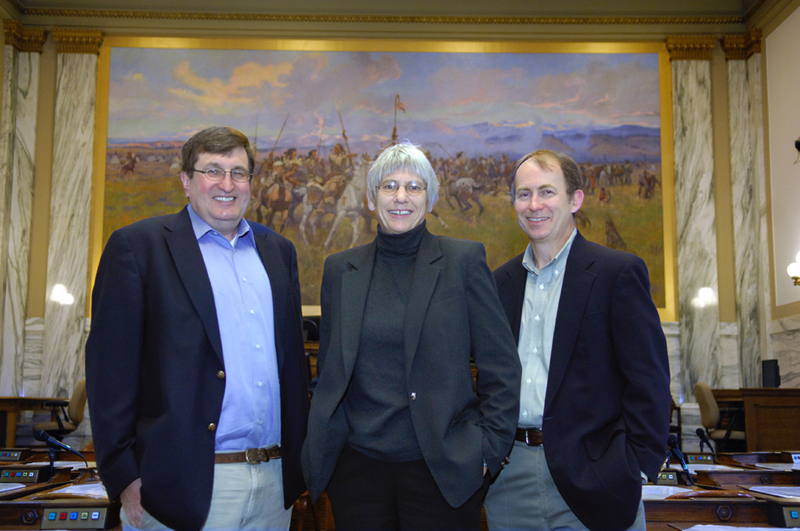 Like Schweitzer often did, Bullock will be working with a Republican-dominated state Legislature. Bullock says he looks forward to finding areas of common ground—to focus on what’s best for the state. Bullock then looked to the supporters in the conference room and offered his gratitude. “It’s truly a humbling experience to have this many people not only here today but all across the state wishing us well. But it’s also time and it will be time to get to work. We need to present a budget to the Legislature and in the coming days John and I will be meeting with Legislators and leaders from across the state,” he said. First though, he says he’s looking forward to a little R&R with his family. In this edition of “Campaign Beat”, our weekly political analysis program, News Director Sally Mauk talks with Lee newspaper reporters Chuck Johnson and Mike Dennison about gubernatorial candidate Steve Bullock’s pick for a running mate, about how the Libertarian candidate could impact the U.S. Senate race, about the growing number (11 so far!) of U.S. House candidates, and finally how Montana’s June primary could still be in play in the Republican presidential race….